. : 2006-2007 Season Summary :: Ski XCOttawa.ca :: Skiing in Ottawa and Gatineau Park :. The 2006-2007 season was a great one for XC Ottawa. As a racing team, our performances are an important indicator of a successful year, and we had many occasions to celebrate good results. But also important to us is helping develop athletes to their full potential and contributing to the ski community. Our efforts on these fronts were also successful, and we hope that we've encouraged a lot of people to get out and enjoy the outdoors on skis more often. After a good summer of dryland training, we were eager to race, and we had the opportunity thanks to the growing number of roller ski races in the fall. 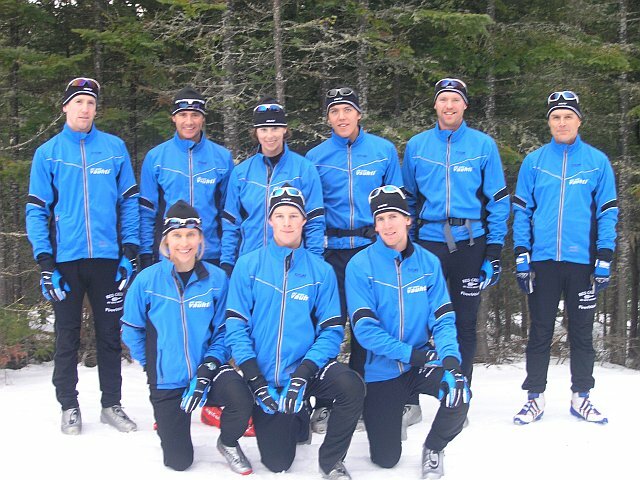 We achieved top performances at the Canadian National Roller Ski Championships, with Craig taking the men's title, and Sheila winning the women's division. Sheila and Tom also took top honours at the windy and wet Mont Royal hill climb. Little did we know that record high temperatures would have us still testing our rollerski skills in January! But we did find snow to race on, and Megan started her season with very impressive results in November out West on the Haywood NorAm Canada Cup circuit, finishing 9th in the pursuit in Silverstar, and 6th the following week in a sprint race at the Canmore Canada Cup. 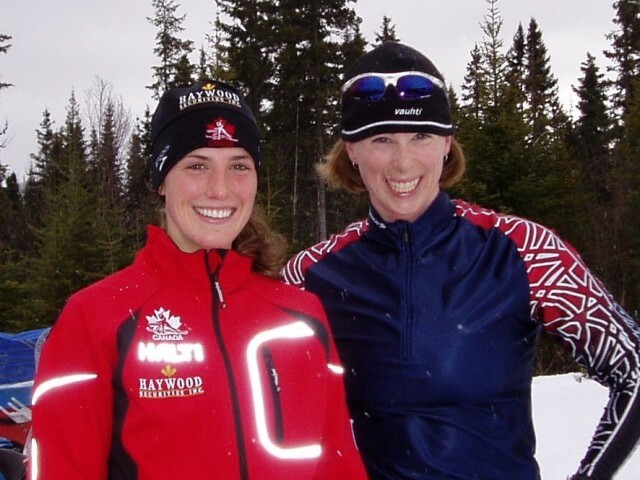 She kept her good form, with a bronze and silver at the first Quebec Cup race in Montmorency, while the XC Ottawa's Karl, Brian and Gavin dominated the senior men's race. It was a strange and snowless Christmas for Eastern skiers. Craig's Training Tips for a Green Winter! quickly became a very popular Workout of the Week, highlighting the desperation in the ski community. When we finally did get some snow, Lafleur kept their high standards, doing an amazing job grooming the Gatineau Park, as did Dirk and the crew at Nakkertok. At times there wasn't a lot of snow to work with, but on most of our outings, we were greeted with great trail conditions. Despite the lack of snow and consequently limited racing opportunities until mid-January, once the season got going we had some great performances. 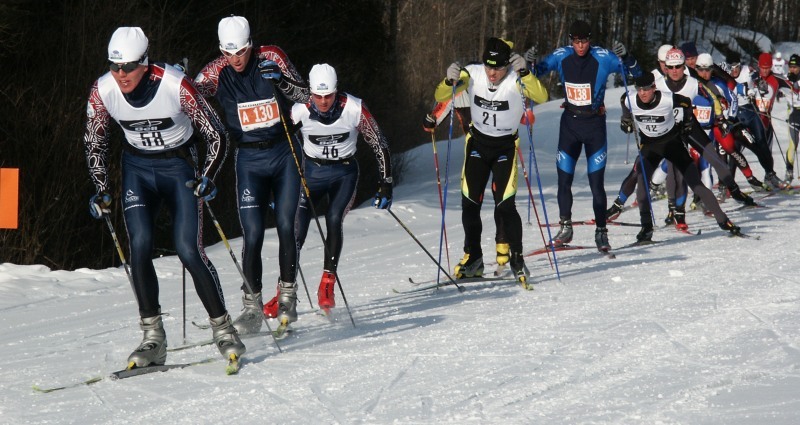 Karl, Sheila, and Gavin raced to top 5 performances at the Haywood NorAm Eastern Canadian Championships. Harry Nowell caught some of the action at these races. At the Keskinada loppet, Gavin won the 30km skate, and in the 50k skate Sheila placed 3rd among the women and Karl 4th among the men. XC Zone captured some of the excitement. New dad Wayne focused on the Salomon Marathon Cup Series this year, with an impressive 2nd place at the Fischer Hardwood Loppet, and a 7th overall for the series and 2nd in his age group. On the local racing scene, Sheila and Brian won the senior division of the National Capital District Series of races. Our season concluded at the Canadian National Ski Championships at Mont Ste Anne Quebec, where we raced to several top 15 performances, Ed led the Carleton University sprint relay team to victory, and Gavin won the University division in every individual race. A definite highlight of the season was having Andrew, our Australian import, qualify to represent Australia at the Nordic World Championships in Sapporo, Japan. Andrew moved to Canada last year to try and qualify, and we're certainly glad he chose XC Ottawa to help him accomplish this goal! 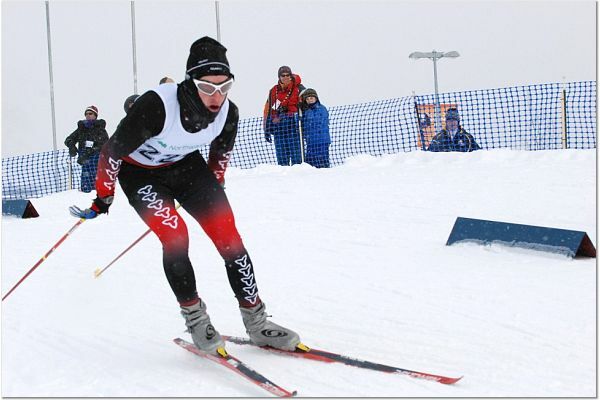 Andrew was the first XC Ottawa athlete to compete at a World Championship. He raced well and got enough inspiration and motivation to keep him aiming towards Vancouver 2010. And then there's Gavin . . .
Gavin Hamilton had a stellar year with incredible performances for someone who only started skiing seriously 4 years ago! Highlights include competing for Team Ontario at the 2007 Canada Games, where he was 2nd in the 15km skate, 4th in the 10km classic, and led Ontario to a Gold in the 4x5km Team Relay. 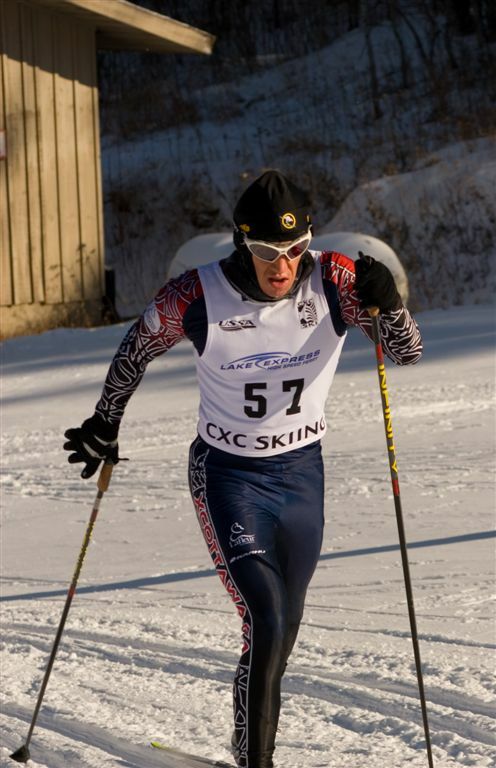 Gavin brought his winning ways to the Canadian National Ski Championships, where he dominated the University division, winning the 10km Skate and 15km Classic races. His spectacular season was recognized by Carleton University, who awarded him Co-Male Athlete of the Year. Can he beat a year like that? With Gavin's attitude and dedication, we think so . . .
Our commitment to the ski community continued by helping with Gatineau parkway closures, regular reports of ski conditions, promoting local ski events, writing articles with helpful training and waxing tips for skiers, and hosting our racing series . . . only unfortunately we had to cancel two of the early races due to snow conditions. We made up for this by making our only event a remarkable success, tackling the duathlon format, where skiers switch from classic to skating in the same race. Under the direction of Tom and the help of many volunteers, we were able to introduce many local skiers to this exciting racing format. - Ski News Feeds allow you to quickly keep tabs on some of the biggest ski news websites around. - For Sale Section is a convenient way to buy and sell ski-related gear. This season the local media recognized XC Ottawa as a good source for cross-country ski information. The Ottawa Citizen and CBC radio interviewed team members about training with a lack of snow, and as CBC investigated NCC's dismisall of Lafleur Inc. to groom the Gatineau Park trails, they interviewed XC Ottawa athletes. The performances of Andrew and Gavin were also featured in CBC radio interviews. We have many people to thank. First and foremost, coach John Surronen, for his dedication, excellent coaching, waxing expertise, and getting up at crazy hours race mornings to ensure that we all had fast skis. Yes, this was an impressive season, but we know we can still do better, and expect great things for 2007-2008.